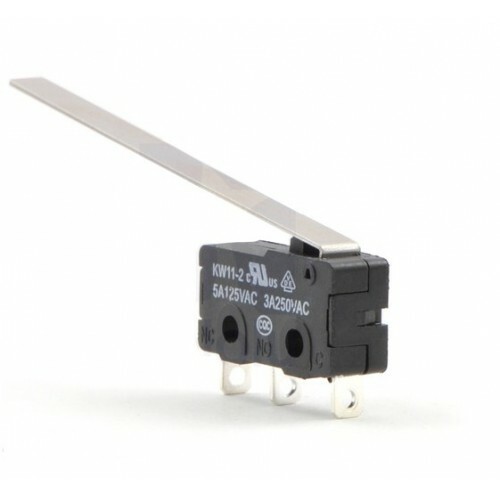 This single-pole, double-throw (SPDT) momentary switch can be used as a general-purpose micro switch, but the 2"-long lever arm makes it especially useful as a simple tactile obstacle-detector for your robot. 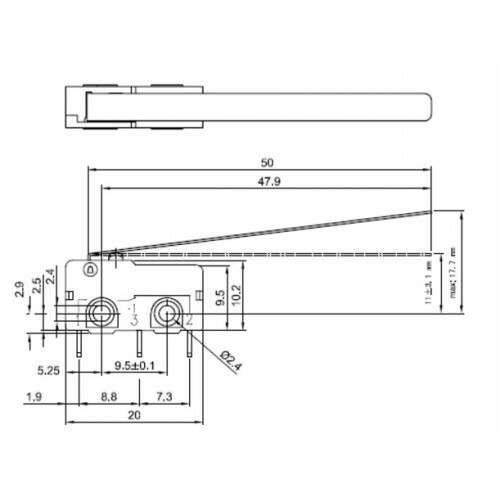 The switch body dimension is 20.0 x 6.4 x 10.2 mm and the lever arm is 50 mm long. 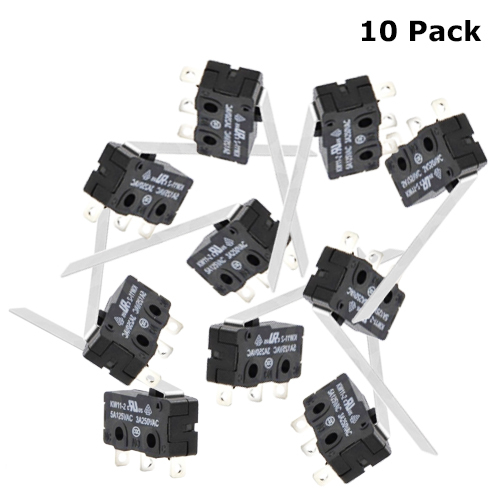 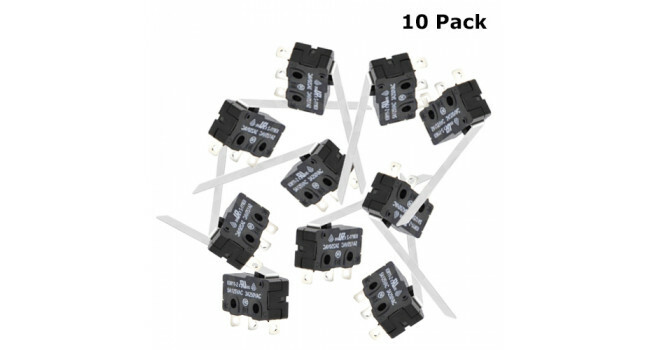 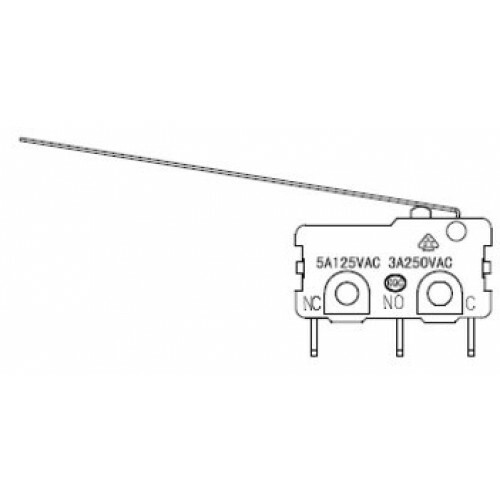 This three-pin switch can also be used as a two-pin single-pole, single-throw (SPST) switch that is open or closed by default, depending on which two pins are used.